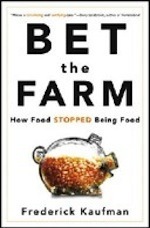 The reviews have begun to trickle in for Michael Pollan's latest food tome. Laura Shapiro had some interesting things to say in Slate. 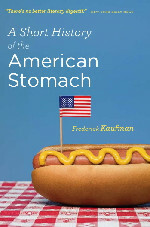 As the AmericanStomach continues to traverse the wilds California's fertile crescent . . . past Gilroy (über-garlic land) and Hollister (home of the world famous Casa de Fruta) . . . came across The Giant Artichoke, and stopped for twenty divine chunks of deep-fried hearts. Merry Christmas to all. 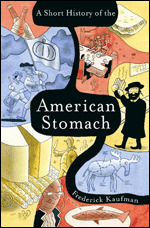 And just in case you still haven't decided what's for dinner, AmericanStomach offers the following suggestion. 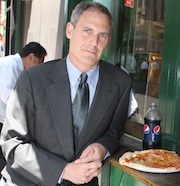 AmericanStomach beat reporter Mellissa Seecharan has brought Meatpaper Magazine to the attention of this blog. If anyone out there (aside from me) has an interest in kosher slaughter, the time has come for a new magazine subscription. Food ethnographer Cara De Silva has reported the following recipe to the listserve of the Association for the Study of Food and Society. I do not have a source for warthog yet, but will pursue this matter. If you thought American food advertising was nuts, check out this mind-boggling musical number from Italy. If you're not exactly looking forward to Christmas dinner at the in-laws, a glance at Christmas dinners from America's past may provide solace. Then again, honey flummery and filbert pudding (1769) doesn't sound so bad. Especially after a few shots of grog. Veteran Vegan and AmericanStomach blogger Mellissa Seecharan has the following suggestions for meatless, cheeseless, Christmas Dinner. In its never-ending drive towards global dominance, McDonald's has unlocked yet another private space in which to wedge the gospel of the Happy Meal: Johnny's Report Card!